In a world where wine is so prized and so widely consumed, it’s surprising that more people don’t seek out cognac. As with wine, cognac is made from grapes, but instead of just fermenting the grapes, their are distilled and then aged in large French oak casks. Cognacs are cellared, often for decades, and sometimes even longer. One of the great arts involved with cognac is the art of blending. Cognacs from different years, and sometimes different parts of the region, are brought together to make a bottle of spirit so flavorful and so full of character that they can be simply breath taking. 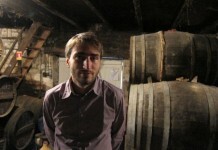 Hine is one of the few cognac producers that puts a strong focus on vintage cognacs. 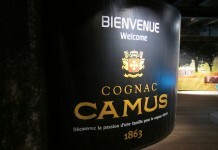 Most cognac producers will rate their spirit by the age of the youngest cognac in the blend. Hine goes a step further with their “Homage” release and lists the specific vintages that go into the blend (1984, 1986, and 1987). 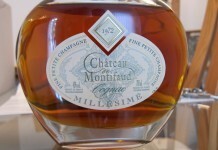 Hine is also unique as it brings some of the cognac it produces in France to the United Kingdom to age. With a dramatically different climate, the UK-aged cognacs take on a much softer, fruity, and floral character. Homage (also known as Homage to Thomas Hine) was created by Cellar Master Eric Forget as a tribute to Hine’s founder, and to showcase the unique style of cognacs that have been aged in the UK and blended with cognac aged in France. Homage has a light floral nose with an undertone of sweet clover honey and orange. You get a hint of gingerbread spice in the background. The taste brings these elements together with more pronounced spice and a touch of oak. The finish is long and delightful ,and it leaves the palate cool and crisp. 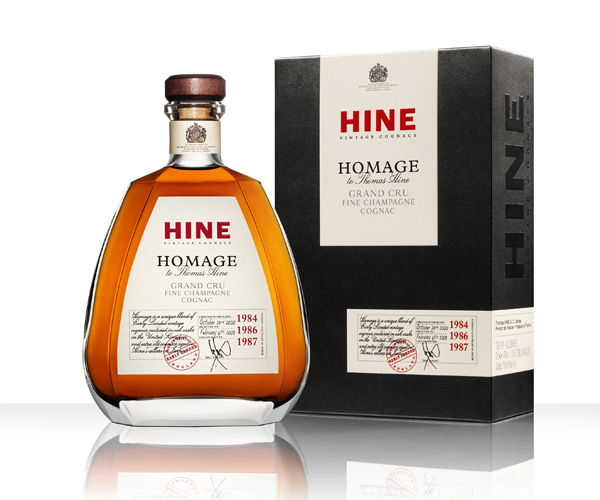 Hine Homage ($130 a bottle) is a superb place to start as an introduction to the world of fine cognac. It has many of the flavors you find in great cognac presented in such a pleasing way that you’ll want to sip and savor every drop. Check out our behind the scenes report on Hine Cognac.